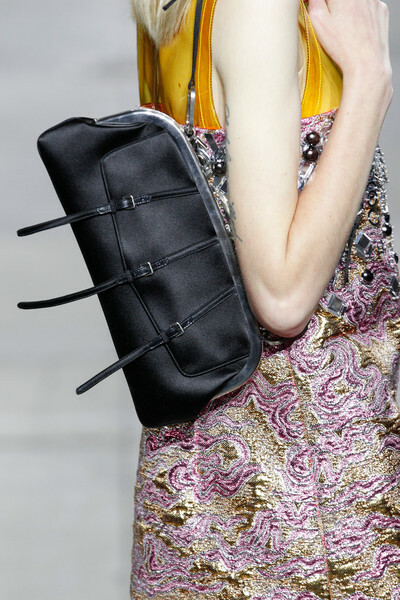 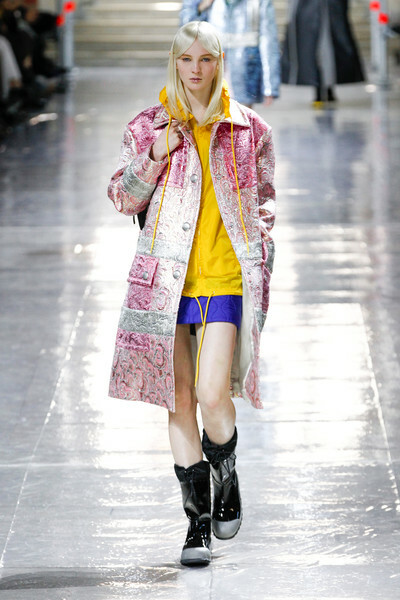 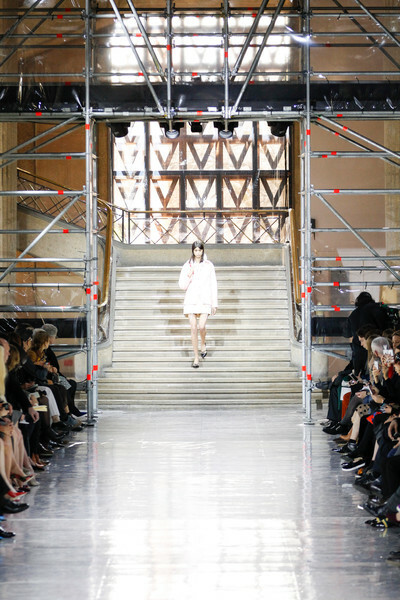 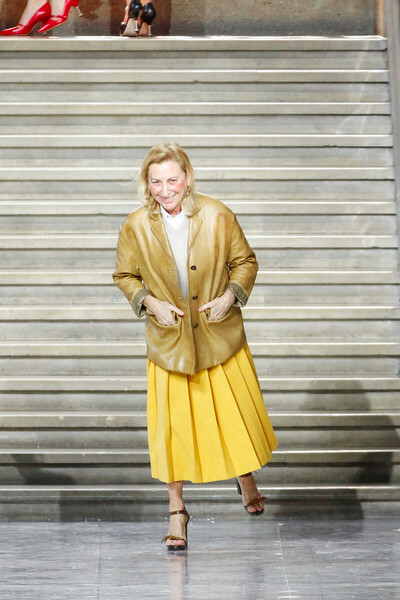 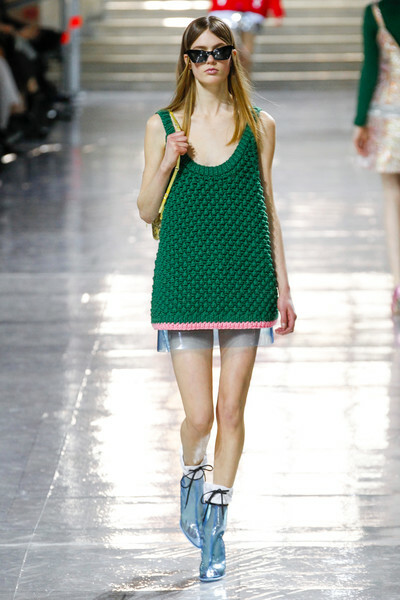 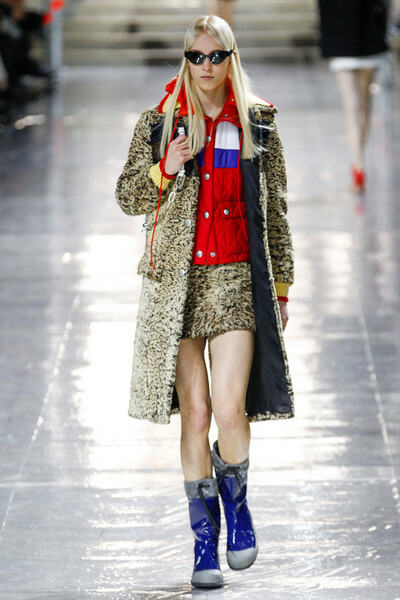 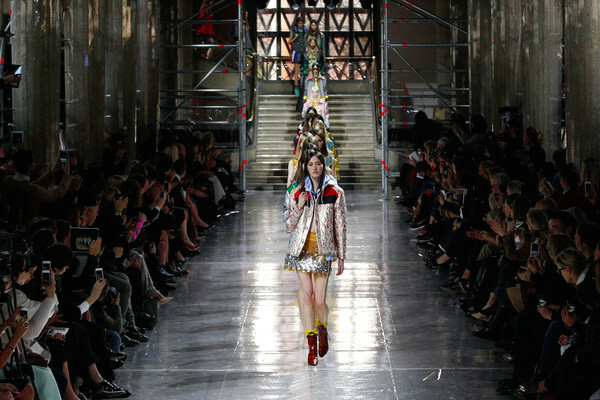 Miucca Prada presented a Miu Miu collection on top of this season’s trends: athletic practicality, fantastic knits and novelty furs, a subset of outerwear. 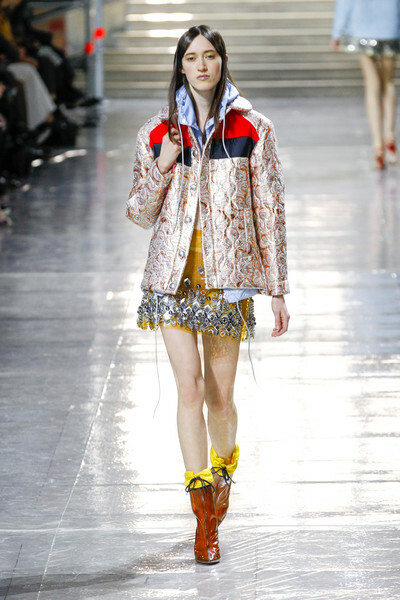 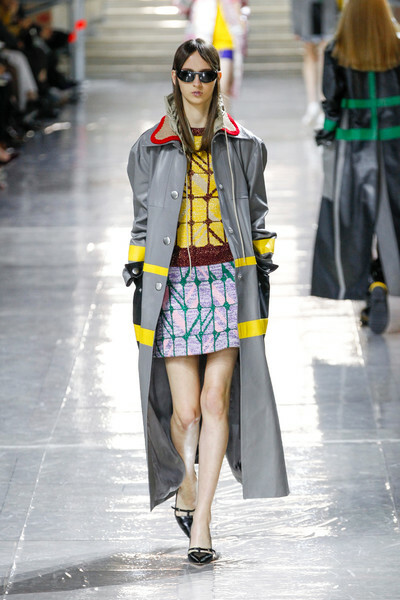 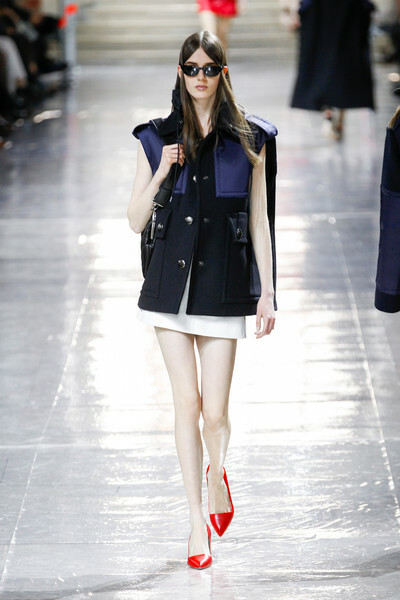 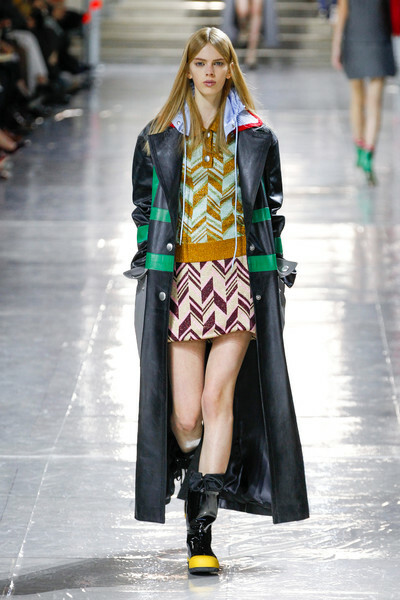 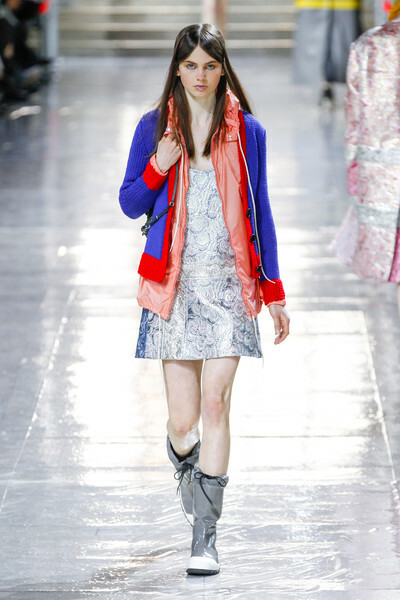 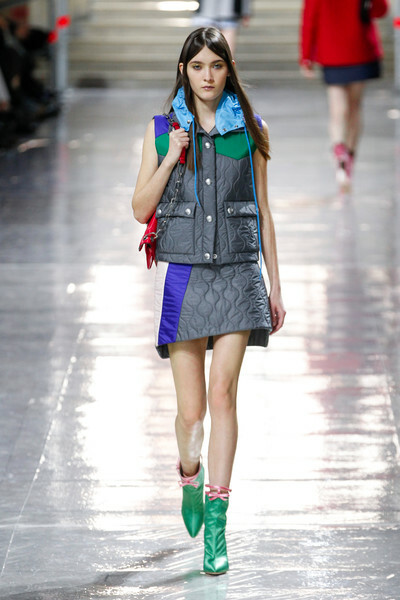 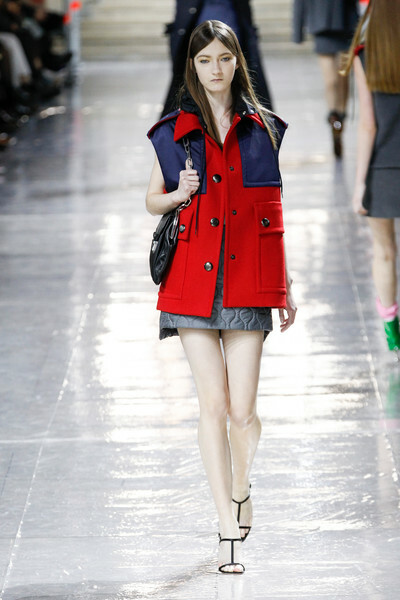 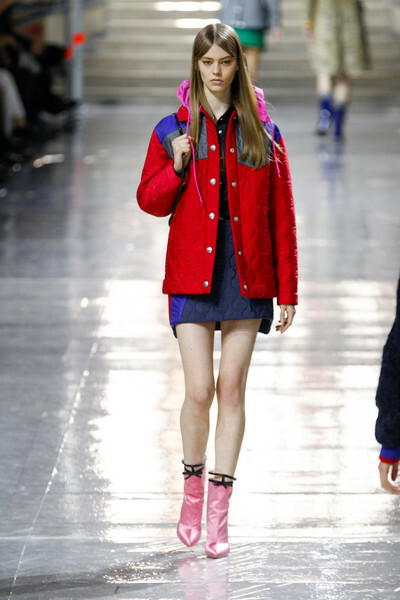 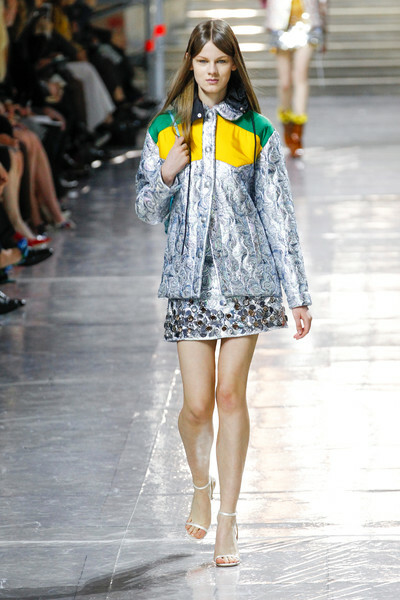 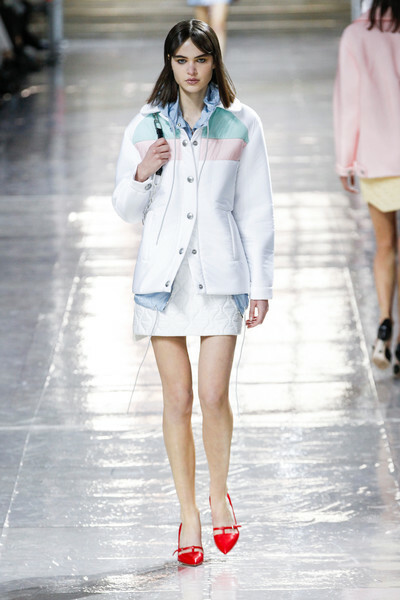 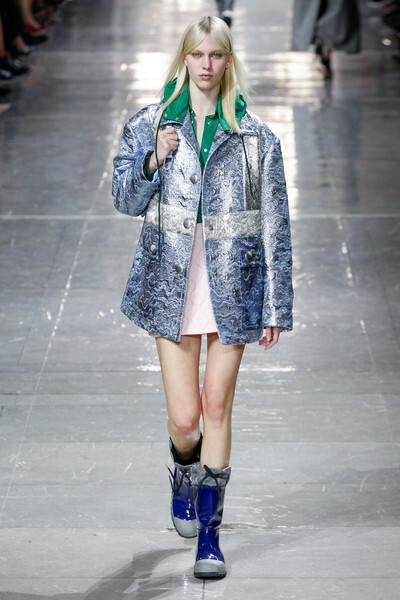 The attitude was perky and young, captured in neat, sporty nylon jackets layered over hooded windbreakers and quilted minis. 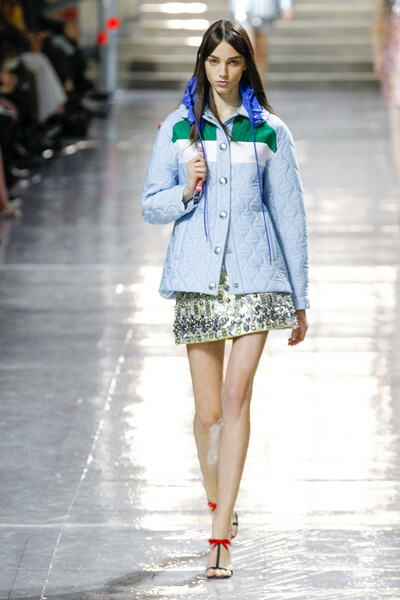 They came in combinations of sweet pastels — white with pale pink, sea-foam green and baby blue — and classic bolds — gray with royal blue, kelly green and yellow — that were eventually gussied up with foiled brocades and chunky embroideries. 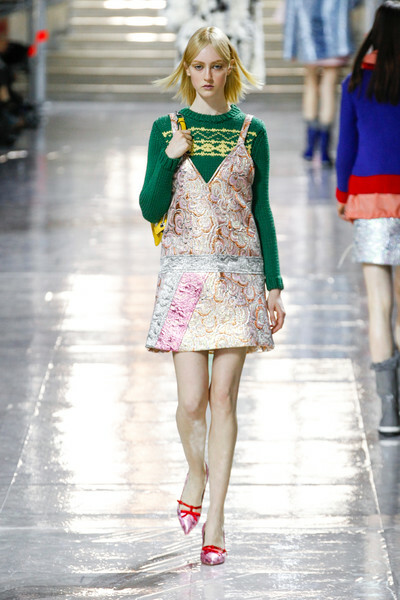 Throughout, the slightly Sixties silhouettes suggested school uniforms, particularly the series of tailored gray wools and sweater-and-skirt looks. 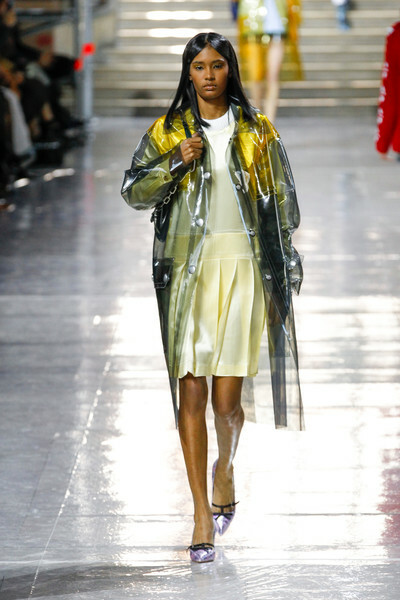 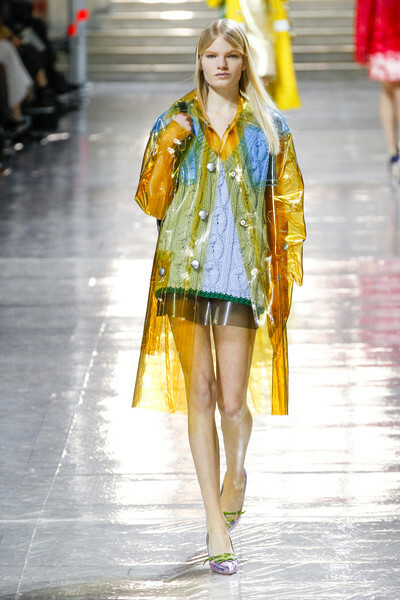 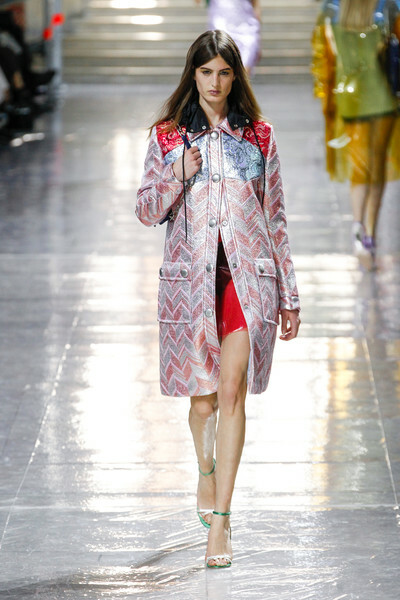 Everything was highly wearable, utilitarian even, when it came to the long raincoats that came in clear plastic or traced with bright graphic stripes, and flat rubber rain boots.